The base of the following pyramid is a square. 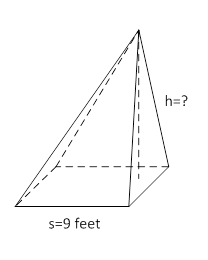 If the volume of the pyramid is 350 feet3, what is the missing length? Round the answer to the nearest hundredth.